A very important deadline is approaching. Tomorrow is the last day for teams to acquire players and have them be eligible for the postseason roster. The player doesn’t have to be on the big league roster before the deadline to be postseason-eligible, but he has to be in the organization by 11:59pm ET tomorrow night. There are no loopholes around this one. It is a hard deadline. As always, there will be a flurry of trades before the deadline tomorrow — Justin Verlander was traded minutes before the August 31st postseason-eligibility deadline last year, for example — and although they’ve been inactive on trade waivers this month, the Yankees could make a move before the deadline. An outfielder figures to be atop the shopping list. Or at least I hope it is. Donaldson is an impending free agent and Ken Rosenthal (subs. req’d) hears “the Jays want Donaldson gone,” so I guess that means he’ll be traded at some point in the next 38 hours or so. He hasn’t played in months and hit only .234/.333/.423 (104 wRC+) before the calf injury, but I think there will be interest given his track record. Does Donaldson make sense for the Yankees? I have four questions. 1. Where does he fit? First base or DH, most likely. Even before the calf injury, Donaldson had some shoulder trouble and was having a devil of time making the throw from third base. Remember this? A healthy Donaldson would be a massive defensive upgrade over Miguel Andujar at the hot corner. Even an unhealthy Donaldson might be an upgrade. The real question is whether he can keep the calf (and shoulder) healthy at that position. He may not be able to handle the hot corner physically. The Yankees have a gigantic hole at first base and Donaldson has limited experience at the position, but he did play a game there earlier this year, and I think he’d be willing to do it for a month heading into free agency. It would not be in his best interests to complain about a position change a month before free agency given his injuries and slip in production this year. Be a good teammate and good clubhouse dude, make the position switch, and go rake for a postseason bound team. That’s how Donaldson improves his free agent stock. Not by insisting he plays third. Donaldson could spend his time at first base and DH with the Yankees, and hey, if he shows he can handle the hot corner physically even a few times a week, that’d be great too. The numbers are not there in 159 plate appearances this year. 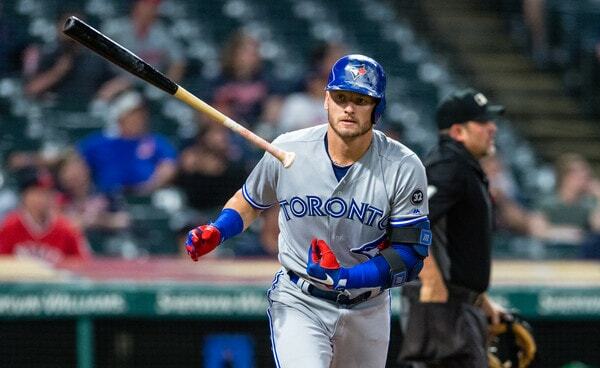 Donaldson is only a year removed from a .270/.385/.559 (149 wRC+) line though, and there’s a decent chance he’ll be the second most impactful hitter traded this summer behind Manny Machado. He is AL East battle tested, he won’t be scared away by late season pressure games, and he can crush great pitching.
? Donaldson has been there, done that. The division, the postseason, all that. He knows it all. If he has to play first base, so be it. Get the elite talent and sort it all out later. What do I always say? These things have a way of working themselves out. Because they do have a way of working themselves out. Every contender should be trying to figure out a way to get this guy on the roster, including the Yankees. 2. What about the luxury tax? Donaldson still has about $4 million coming to him this season and that won’t fit under the $197M luxury tax threshold. The Yankees had about $3.3M in luxury tax payroll space remaining when I did my last estimate, and that number is probably closer to $2.9M now because they’ve had to make some injury call-ups this month. Donaldson’s not going to fit. The Blue Jays will have to eat some money to facilitate a trade and it is probably in their best interest to do so no matter where they trade Donaldson. The injuries and lack of production, plus the fact you’re only getting the guy for one month plus however many postseason games, means his trade value is a fraction of what it was a few months ago. Eat money and maximize your return. The Yankees would have to get the Blue Jays to eat money to make the luxury tax plan work. 3. Will waivers be a problem? Normally a player who hasn’t played since May and still has $4M coming to him this year would clear waivers with ease. I think Donaldson is a special case though. This guy was a dominant hitter as recently as last season and there’s reason to believe he can be a dominant hitter in September with good health. He’s someone who could put a contenting team over the top, either in a wild card race or division race or in the postseason. Because of that, I think Donaldson could very well end up getting claimed, even if the claiming team doesn’t want him. Think about it. If you’re the Yankees, don’t you have to claim Donaldson just to prevent him from going to the Red Sox? The Phillies have to claim him to prevent the Braves from getting him, right? I don’t think he’ll get to the Phillies on waivers because he has to pass through the AL before going through the NL, but that’s the idea. The AL races are very competitive and I could see a scenario in which multiple teams claim Donaldson, either because they want him on their roster or don’t want him going to a rival. The Athletics, Indians, Yankees, and Red Sox could all make claims. The downside is potentially having the Blue Jays dump that $4M in salary on you as a claim, but I think the chances of that are small. It’s still a risk though. The Yankees have the second best record in the AL — the second best record in baseball, at that — and that means every AL team except the Red Sox gets a crack at Donaldson before New York. If the Athletics or Astros or Indians claim him, there’s nothing the Yankees can do. Their record puts them at a disadvantage when it comes to trade waivers. I’d rather have a good record than a high waiver priority, but yeah, this is kinda out of the Yankees’ hands. 4. So what would it take? I have no idea. There is basically no comparable trade here. We’re talking about a previously elite hitter who hasn’t played in a big league game in more than three months. The Nationals traded Daniel Murphy for nothing last week but that was a straight salary dump, and the Yankees are not in position to take on Donaldson’s full salary because of the luxury tax plan. The Murphy deal doesn’t work as a benchmark. 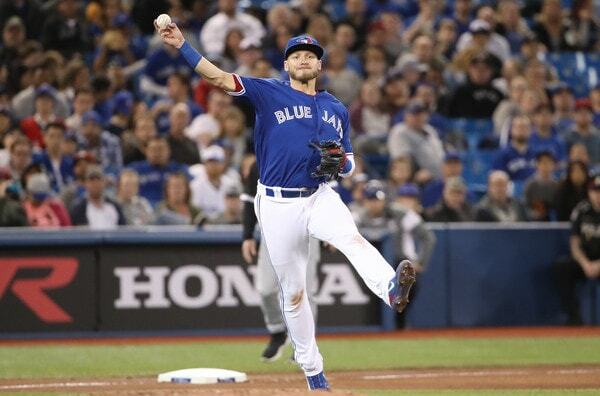 The Blue Jays could simply keep Donaldson and make him the qualifying offer after the season, which would entitle them to draft pick compensation should he sign elsewhere as a free agent. If he accepts the qualifying offer, well, no big deal. Donaldson on a one-year contract worth $18M or so isn’t a bad gamble at all. They could always try to trade him again next summer. I reckon a lot of teams would be willing to roll the dice on Donaldson at one year and $18M-ish in 2019. Here’s where it gets slightly complicated. If Donaldson signs a contract worth less than $50M this offseason, the Blue Jays only get a supplemental third round pick. That would be something like the 75th overall pick. (The supplemental third round was picks 75-78 this year.) Donaldson would have to sign a contract worth more than $50M for Toronto get a supplemental first rounder. Will Donaldson get a contract that size? Not that long ago the answer would’ve been an easy yes. The guy was just so good when healthy. Now though? Now he’s batted injuries all season and hasn’t hit much when healthy, and he’ll turn 33 in December. Remember how hard it was for Mike Moustakas and Todd Frazier to sign contracts last offseason? Donaldson is better than them, but they were younger and healthier when they hit the market. I don’t see Donaldson taking a one-year pillow contract. This is probably his last chance to cash in big. His best case scenario might be something in line with the three-year, $60M contract his former Blue Jays teammate Edwin Encarnacion received two years ago, and even that might be rich. Because of that, the Blue Jays can’t really go into trade talks and claim they need something in return that is better than the supplemental first round pick they’d receive after the season, because they might not get a supplemental first round pick after the season. Does one good prospect get it done? Chance Adams or Domingo Acevedo for one month (plus postseason) of Donaldson with the Blue Jays paying his salary? Or is that not enough? There are a lot of factors in play here. If Donaldson doesn’t get claimed on trade waivers, there could be a bidding war. If Donaldson does get claimed, the Blue Jays have little leverage because they can only trade him to that team. If the Yankees claim Donaldson, the Blue Jays could say “give us something good otherwise we’ll waiver dump him on you and screw up your luxury tax plan.” Would they actually do it? Probably not. Hard to see Toronto unloading their franchise player for nothing but salary relief, but the threat might be enough to scare the Yankees. 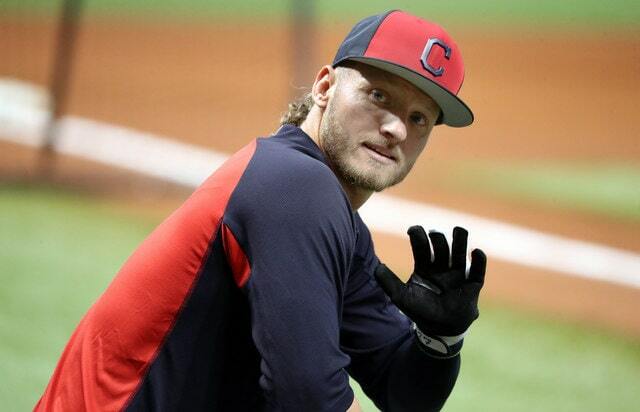 I am completely on board with the Yankees acquiring Donaldson to play first base down the stretch. I know he hasn’t played in months and there will be moments of inexperience at first base, but a) the Yankees don’t exactly have a Gold Glover at first base now, and b) the upside with the bat is too great to ignore. Donaldson can be a real difference-maker. I’m not saying I’d give up the farm to get him. But giving up a dude like Adams or Acevedo would be a-okay with me (maybe even both if you’re confident in his health?). The Yankees are a World Series contender. Put together the best team possible. There are a million reasons why this won’t happen, of course. Donaldson has to get to the Yankees on trade waivers and that’s not a given, even with his salary and his injuries. (The Indians are the team I’m really watching here. They can move Jose Ramirez to second and put Donaldson at third.) The luxury tax plan is also an obstacle. Donaldson to the Yankees is very unlikely. Impossible? No. But unlikely. Rosenthal says the Blue Jays want to move Donaldson and I totally believe it. Seems to me whatever they can get for him now will be more valuable than the draft pick they’d receive after the season, even if it is a supplemental first rounder. The Yankees need an outfielder more than they need a first baseman (Donaldson and Curtis Granderson package deal! ), but upgrades are upgrades, and Donaldson is potentially a huge one short-term, even at first base. This is not surprising at all. According to Joel Sherman, Brian Cashman called Athletics GM Billy Beane about third baseman Josh Donaldson early in the offseason, but was told he would not be traded. It’s been reported over the last few months that other teams were told the same thing. Donaldson wasn’t available … and then suddenly he was. Sherman says Blue Jays GM Alex Anthopoulos called about Donaldson and basically wouldn’t take no for answer. He kept upping his offer until the A’s said yes. “Alex is and was certainly relentless. That is his personality. But we didn’t trade Josh to make Alex go away,” said A’s assistant GM David Forst. Furthermore, Sherman says the Athletics did not shop Donaldson around after getting an offer they liked from Toronto. That seems … unwise. Don’t you have to try to get max value for a player of that caliber? The four-player package sent to Oakland in the trade — Brett Lawrie, Kendall Graveman, Sean Nolin, and prospect Franklin Barreto — looked light at the time and ridiculous now. The Yankees needed a third baseman this past offseason and opted to re-sign Chase Headley, who’s had a poor year mostly because he suddenly forgot how to throw to first base. Alex Rodriguez can’t play the field anymore and the only other free agent third baseman on the market was Pablo Sandoval, who has been a total disaster with the Red Sox. Of course, the Yankees could have kept Martin Prado at third base, but a) that means no Nathan Eovaldi, and b) Prado hasn’t been anything special this year either. Donaldson would have been an incredible pickup this winter. You don’t need me to tell you that. It’s hard to believe the A’s traded him for what they did. My guess is if they opened it up to the highest bidder, the Yankees would have priced out. So it goes.